The heart of the Normandy hinterland has been home to the Condé-sur-Vire dairy since 1945, nestling between the rivers Elle and Vire, which gave the brand its name. An outstanding region, with a temperate climate and abundant rain, gives Elle & Vire everything it needs to produce the crème de la crème and the best butter in Normandy. Since its foundation, Elle & Vire has developed a vast range of creams, as well as cream-based sauces and preparations for desserts. It is now broadening its retail range to include products previously only available to professionals, such as Mascarpone and 35% fat double cream. Elle & Vire also makes a full range of butters: classic (in pats), traditional (in rolls), spreadable, light and mini-format. The most recent innovation, butter enhanced with salt crystals, is a fitting addition to complement a product range appreciated by the most discriminating palates. Elle & Vire Professionnel is the benchmark brand for chefs worldwide. 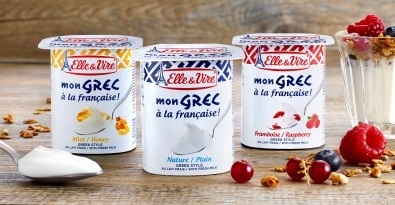 From whipping cream of unparalleled firmness to cooking cream with strong bonding properties, from extra dry to concentrated butter, from dessert preparations to the creamiest of cream cheeses, Elle & Vire supports chefs in all their creations with the offer of products of exception adapted to each of their uses. The "Maison de la Crème"
To support its customers Elle & Vire Professionnel set up the “Maison de la Crème”, an institution dedicated to creativity and excellence, for chefs to exchange information. A place for both training and applied cuisine, run by Michelin-starred chef Sébastien Faré, and Nicolas Boussin, elected Best French Pastry Chef, the “Maison de la Crème” enables chefs from all over the world to train in using the company’s products and discover new sources of inspiration. What a combination for innovation, allying technical performance, gustative qualities and practicality! Elle & Vire Professionnel literally reinvents Mascarpone with its UHT recipe which preserves all the savor of fresh Mascarpone. Much easier to use, this revisited Mascarpone is also more practical to store and can be kept up to nine months before use. 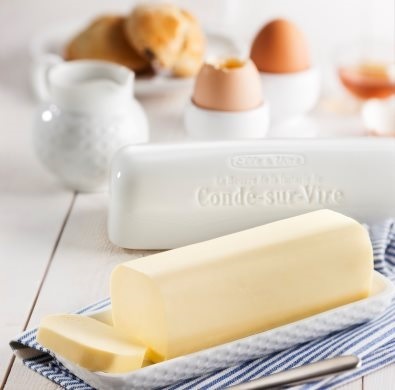 Originating from an exceptional territory, Elle & Vire’s products are shipped every year from Condé-sur-Vire to the consumers and food service professionals of all the continents. 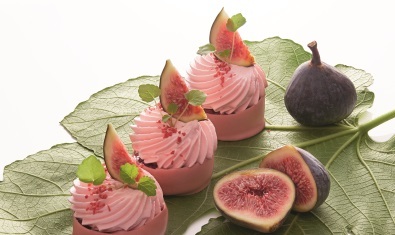 Elle & Vire International deliver the taste of France to more than 120 destinations in particular in Asia, the Middle East and Africa. 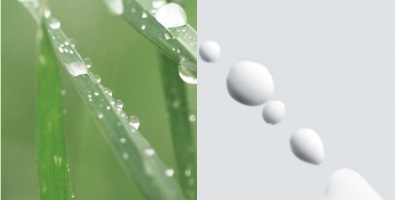 The products, formulated to please the tastes of very different consumers and the children’s nutritional needs, keep all their taste and function thanks to UHT technology. An iconic brand over generations, St Môret won over the hearts of the French through its full texture and fresh, lightly salted flavour. It provides a unique fresh and creamy sensation. That’s the simple, natural pleasure of the freshest specialty cheese.